Internal Rotation of the Shoulder: The Under-Prescribed Exercise! In clinical physical therapy practice, I have noticed that rotator cuff exercises tend to have more of a bias towards external rotation rather than internal rotation. Why is this? Here is an example of external rotation (see video below). This can be done either on one’s side as in the first video or standing with a cable or resistance band. It is often true that the external rotators of the shoulder weaken with a forward posture. It is extremely common to see the desk jockey walk into our clinic and present with shoulder blades that are drawn out to the side and shoulders that are in an internally rotated resting position. We PT’s affectionately call this the “keyboard position,” as this posture does hold the patient over a laptop or at a keyboard for hours at a time. Strengthening the external rotators with this type of posture is generally a good idea. 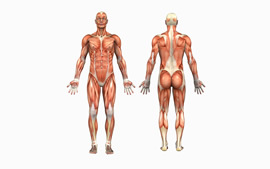 So where does strengthening the internal rotators fit in to all of this? The rationale for strengthening the internal rotators of the desk jockey comes into play as it relates to how the humeral head sits in the shoulder socket. A dysfunctional shoulder will sometimes “sit forward in the socket”: it will not easily rest back into the capsule. Over time, the posterior portion of the shoulder joint will become stiff and compound the problem. Reaching forward all day can create this problem in addition to the shoulder blade positioning problem mentioned. The action of the internal rotators facilitates the posterior rolling of the head of the humerus. For this reason, it is a good idea for many patients to strengthen the internal rotators. The trick in prescribing this type of exercise is to get the patient to block the front of the shoulder so that the muscles are strengthened with a posterior roll of the humeral head. Take a look at how we typically prescribe internal rotation exercise below. What is the Three (3) Hop Test? I would start with some light exercise and try to work your way up over several months. I am a huge fan of the “body blade”, you can find them online or at some gyms. I would find a good PT and get a list of exercises to start up on. The PT should be able to help you with exercises to do with a body blade if you decide to get one. Run it by your doctor as well. I had surgery almost 11-months ago to repair my very-bad torn right Supraspinatus. The surgeon (well known in NYC, surgeon to the stars type) told me that my Supraspinatus was almost completely torn off the Humerous bone but it was NOT completely torn off but very close. He said he used Kevlar to stitch it back to the bone. He also coincidentally found 3-holes in my right bicep tendon and performed a tenodesis, which still hurts a tiny bit. I have been a heavy weightlifter for about 22-years. I am an otherwise healthy 45-year old male. I weigh 215 right now but my normal weight when lifting is at least 230-235. I am dying to get back in the gym. It’s my life and my peace of mind. I know you can say to me just ask your surgeon but I’m just curious what you think. My shoulder doesn’t hurt anymore and I have very good NOT great range of motion back. I REALLY, HONESY AND TRULY babied my shoulder since the surgery 11-months ago as much as humanly possible so I can heal properly. Please tell me what you think about me going back in the gym and specific exercises to do and avoid if you don’t mind of course. THANK YOU FOR THIS SITE. I really appreciate what you do. I just wanted to add something just for your information. When I said that my shoulder no longer hurts, I should have said in aches every once in a while but NO real sharp or deep throbbing pain at all. I can sleep on my shoulder with NO pain at all. If someone was to punch me in that shoulder it doesn’t hurt as long as it’s not a full fledged all out punch of course. I also want to stress that the only part that sometimes hurts moderately is at the site of the tenodesis where the surgeon drilled a hole into my upper Humerous to insert the Long Head Bicep Tendon. Each day it is feeling better but I do have some bearable pain there. Thank You once again and I hope I did not write too much but I absolutely love and have been interested in this type of stuff for 22-years. Yes, I think that you can get back into weight lifting. However, you really need to consider the amount of weight that you are doing long term. A forty-five year olds tendons do not have the same vascularity and capacity to recover from weight lifting. Start with obscenely light weight, something that you can do at least twenty times for a month or two. From then on, I would still stick with weight routines where you can perform 15-20 repetitions. No dips, no preacher curls, no incline presses, no military presses, no pull ups. Not worth your time given what has happened to you. Some okay ideas: lat pull-downs, rotator cuff cable exercises, rows, triceps, reverse pec dec.
I’m curious…I’ve been reading throughout this website and others overall. Is it your opinion, then, that we’re just not meant to weight train? Or is this the cost period that you just kind of suffer for training hard? Seems like a damned if you do, damned if you don’t thing. Sit on your couch, get fat, have a healthy labrum/shoulder. I wouldn’t be quite that pessimistic. I feel that it is just a matter of scaling the intense stuff back a bit. The over 35 crowd in reality just isn’t as able to train at a super intense level without the real possibility of injury. Less weight, more reps is a good mantra. I read your post about weightlifting and wondering if it’s worth your while when you hear all these injury and surgery stories. I just want to say that I can only speak for my self. I’m 45 and started weightlifting at about 21-years-old. NOBODY AT ALL gave me advice. For 22-years I have lifted insanely heavy-weights for no more than 6 or 7 reps. I was NOT interested in fitness nor bodybuilding. I was a young and thin rookie cop in the worst police precinct in Brooklyn NY where they shoot at you and fight you and so on. So I ONLY cared about strength which in my young stupid mind meant 2-3 hours in the gym 7-days a week sometimes twice a day lifting WAY too much weight and doing 25-30 sets for EVERY SINGLE body part. So I am NOT a doctor nor physical therapist but the answer seems easy to me now at 45-years of age and about 220 pounds. I was never less than 230-240. I WAS AN IDIOT AND LITERALLY NEVER TOOK DAYS OFF AND THE AMOUNT OF SETS WAS BETWEEN 20-30. I NOW SEE HOW STUPID AND IMPROPERLY I WORKED OUT. 7-GYM related surgeries just so you see how stupid I was and am. 3. 2005 – Cervical Spine surgery 2 Level ACDF with a titanium plate and 4-screws and removal of my C6 vertebrae and a cadaver donated bone graft C5/6/7. MAJOR SURGERY! 5. 2008 – Another Right Inguinal Hernia. 6. 2013 – Right Rotator Cuff Surgery. WORSE THAN NECK SURGERY. 7. 2013 – Right Bicep Tenodesis at the same time with the shoulder surgery. TORTURE! There’s my answer anyway. I CRAZY OVERDID IT. A few years ago I was up to 267 pounds and needed an MRI. I could not fit in. I had to go somewhere else. The MRI technician actually asked me if I was an NFL player and what team because I only go to New York City for serious medical stuff. was laughing so much when he said that. I happen to be retired now and a full time musician. Thank you so much. I hope I’m not bothering you but what about normal bench press? Also you said no preacher curls but can I use the normal typical bicep curl machines in the gym? Finally what about side-laterals for shoulders? Bicep curls when they are performed with your elbows at your side in my opinion are a bit safer than preacher curls. A normal bench press should be done with a straight bar, and with a light amount of weight. Side laterals for the shoulders do put a big stress on the supraspinatus muscle (rotator cuff). Keep it very light. Again Thank you from the bottom of my heart. I only have 2-more questions. I apologize and you may certainly tell me no more questions or you can say its no problem and I do have a few more that obviously you could answer whenever or if you choose to. My surgeon literally DOES NOT answer ANY questions. He’s the BEST in New York City. He is the NBA Philadelphia 76ers Team Shoulder and Knee surgeon. He’s also done EXTREMELY famous Hollywood Stars. He’s a former college football player and current weightlifter yet he basically laughs when I bring a list of 6 or 7 questions written on paper. He does hands on stuff and then says goodbye. 5-6 minutes with him at the most. It’s unreal but 100% true. 1. You mentioned light FLAT Bench Press with a straight-bar would be okay. Do you mean the almost never used bar that you can use to bench press with a supinated grip (palms facing each other)? It’s the bar that most gym guys have no idea what it is used for and it is usually heavier than the standard 45-pound straight Olympic Bench Press bar? 2. Can I use the standard Pec Dec Machine for chest if I keep the handles very narrow so I don’t involve my shoulders as much because obviously the handles would be locked to avoid allowing any deep stretch of my shoulders? Flat bar is preferable to single arm dumbbell bench presses. The supination bar would probably be fine as well. JUST KEEP YOUR WEIGHT LIGHT! No max-outs. Pec dec in a narrow range (don’t let it bring your hands all the way out to the side) would probably also be safe, but the same rule applies. No heavy weight. And as always listen to what your body is telling you. 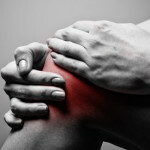 Sharp pain that lingers after the exercise is not good. Just read your last post Joe, so are you mostly saying you wouldn’t have lifted as hard? I usually work very hard in the gym although I usually stay around like the 12-15 rep range on most things. I had started going a bit heavier this last year, and had started doing some far more challenging exercises, such as muscle-ups and single-arm hang cleans, and some gymnastics moves. Oddly enough, that’s when this shoulder trouble cropped up. Thank you so much for your advice. I wish I lived near you so I can see you. Nobody does what you do. You are a great guy for helping us dedicated gym nuts! I will do my best to not ask you anymore questions however, if you ever (24/7) feel like posting information or advice PLEASE do so. I have your site on my Home Page on my iPhone and I check your site at least 2-3 times every single day for shoulder/bicep related injury info updates. Thanks again. Extremely generous of you to do this. You will be rewarded for your caring and time. You are one of a kind. I had an arthroscopic shoulder stabilization surgery on 08.28.13 ( bankart, SLAP extension, and 3 anchors ), and I am wondering how much more should I have to wait to get back into the weight room. I am 21 years old. Baseball season is approaching fast and I want to get back on the field as fast as possible. Elias I would guess that you would be good to go by the end of this month (February). There are of course tons of variables that I cannot see because I haven’t seen your shoulder, so you certainly need to clear it with the MD and PT first. Start with an obscenely light amount of weight for everything. And as I always say, stay away from dips and military style presses. They are not worth your time given that you have already had shoulder surgery once. We don’t need a repeat. I had a slap tear repaired on january 2 of this new year, i had two anchors put in and sutures. i had a sling for five weeks, and have been in therapy just gaining mobility back. i am a weightlifter and my shoulder worries me. when my physical therapist stretches me i dont really feel a lot of pain except for scaption stretches and it is almost like my shoulder is loose, and almost hyper mobile and hyper extends. it also still sometimes cracks and pops. i was wondering if that is normal for my shoulder? Before the surgery it was just as loose and I’m 19 and was very athletic and play two sports aboyt how long do modt people truly recover to full potential? Not the point where i am allowed to start lifting, but like how long ubtil i can lift justvas heavy as i used to? My guess is that it will be at least a good eight (8) months before you are lifting what you used to normally lift. If you are hyper-mobile (which I suspect you might be) I would be really careful about quick / ballistic type motions. Loose shoulders tend to be more susceptible to damage with things such as “clean and jerks”, fast throwing, and other exercises that involve heavy or “max load” weights. You need to go through a very, very slow transition into weight training. It is better to err on the side of being conservative. I’m just curious why this is? I am 8 months post op, and with the exception of hand stand push ups I do the rest of those exercises. Am I putting myself at increased risk for a re-injury? Thanks Dan! Chris I am guessing that you are young and fit. The youngsters tend to be able to do much more than the rest of us. I can only tell you that I have seen clinically that people with shoulder pathology tend to “flare” up their shoulders more often with those types of exercises. There is more of a risk of brushing the supraspinatus and biceps tendons up against the boney shelf that lies above them. You may find that you will be able to do those without pain long-term, and that is impressive. Let pain be your guide though, if any of those exercises start to cause pain, modify your routine immediately. One more piece of advice Chris: hand-stand push ups = not safe. My shoulder has been hurting for 12 weeks and I finally broke down the see a Doctor and have a MRI. The results were a SLAP 11 configuration tear of the superior labrum, granulation tissue, bicep tear, and impingement. It has improved some but a long way from being where I use to be. I am a Wildland firefighter/Forester, coach boxing, canoe, swim, and ride horses. I work-out at the gym 3 days per week with weights (no bench, no military and no dips) I am also 58. I have tried PT during the 12 weeks and ice with minor improvement. Should I have this surgery if I want to still be active? If I do have the surgery will I be able to be as active 6-12 months from now? In some pain and very frustrated. Ritchie the surgical outcome measures for a guy your age with the injuries that you have are not fantastic. You will likely get an improvement from surgery, but my guess is that it will not feel entirely “better”. It will also take quite a while for that to heal and strengthen back up, perhaps 8-10 months or more. My advice would be to scale back the routine considerably for six months and see where it is. Overhead stroke swimming is not helping you to heal one bit. Stay away from it. I usually am not a proponent of cortisone injections, but in your case it may be an option to discuss with the orthopedist. Another side-note here, if the pain is unrelenting, horrible, and adversely effects your life even after letting it rest for many months and having other interventions, the surgery would be a sensible option. Katanya I would guess that it will be at least 12-16 weeks from the surgery date until you could try some light bag carrying. Make sure that you are getting good guided PT and that you strengthen up the shoulder very gradually. Your shoulder will probably ache for many months to come, so don’t be discouraged by it. Many patients will not feel “normal” until at least six months post-op. I’m 12 weeks post op from having a SLAP repair with 3 anchors. I was told by my physical therapist that I could being light weight training doing bicep and triceps exercises. She suggested that I start with 10 to 15 lbs on the bicep curls. I started with 15 and did not have trouble doing them but felt some discomfort and a little bit of strain in my shoulder and only did 1 set. I had some discomfort and soreness later that night but nothing unbearable. I had PT yesterday and she said everything felt good and I didn’t have anything to worry about but to back down on the weights. My shoulder is really sore today (two days after lifting) but I’m thinking it’s a combination of it being sore from the lifting and the PT yesterday. Is there any chance that I could have done something to my shoulder doing the bicep curls or is it just natural to feel discomfort when resuming exercises that you haven’t done for a while? I’ll definitely be backing off of the lifting. The biceps is probably just weak from the surgery and you may have slightly strained it. Wait for the inflammation to subside before trying that again. Keep the weight light (maybe even lighter) next time. I am guessing that the next time you do that the pain afterwards will still be present, but less. Keep in mind also that you need to build slowly in terms of weight training. Stay away from the riskier exercises early on. No incline presses, no dips, no pull ups etc..
After not doing dips for a year, I injured my shoulder doing them. Pain is almost non existent, mostly weakness, and feeling “off” or slightly out of socket. Slight pain is present if I deep massage it. Strangely, that pain moved from the lateral delt to the posterior over the last two months. Ive stayed out of the gym for two months now, only running. Ive started jumping rope again for 3-5 mins a day, to ease back in. My shoulder feels great for the rest of the day after this. Do you recommend jumping rope as part of a rehab program? Thanks. Jeff it sounds like you need to find something else to do with your time at the gym rather than dips. I don’t see a problem jumping rope as long as the hands are down at the waist level. For 18 weeks post-op, you technically should be able to do some light weights. The lack of rotation is a slight concern however, I would talk with the doc and get to the bottom of what is restricting your rotation. Hey I am 25 weeks out of postierior labral surgery, been lifting for the past 8-10 starting with low weights and gradually increased them. I am a competitive diver and still feel small burning pain in my shoulder and bicept. How much should I worry about my pain levels and what would be considered good verse bad pain? Quick pain when stretching too far? Does that just mean i havent reached that range of motion in awhile? Verse lingering soreness or an inflamed fealing? I wanted to add I had 4 anchors. Devin it is not uncommon to have those types of pains, even six months after the surgery. The head of the long head of the biceps attaches on to the top of the labrum (a common area to have pain). Because of the demand that you place on your shoulder you are going to need optimal strength in your shoulder blade stabilizers. Work on the lower traps, middle traps, serratus anterior, and of course the rotator cuff. I would book an appointment perhaps one week after the surgery. In relation to the patients that we see here at my clinic, a “normal” start time would be anywhere from 2-4 weeks. Thankfully you will be seeing the surgeon the day of your surgery, so just ask them then. You can always cancel the PT appointment if that is too soon. Hi, Dan. Thanks for your very useful comments. I’m just out of my right shoulder open Bankart repair (it’s been 10 days) and I haven´t even had my first post-op appointment with my surgeon yet (due in 6 days). My Bankart repair followed a 2nd dislocation after a traumatic fall (the first dislocation had been 17 years ago under very similar circumstances, and I didn’t do any rehab back then, a mistake I definitely won’t be repeating). According to my surgeon, my labrum was quite badly torn, worse still than what the MRI had shown. At 44, I want to do this right and will obviously follow my doctor’s advice. Having said this, I’m a bit of a gym bunny and I know I won’t get any support from him there, as he is, believe it or not, quite a sedentary person himself. My question to you would be: how long until I can do each of the following: a) static bike (with sling) b) elliptical bike c) treadmill walking d) treadmill jogging e) abdominals f) aerobics/step g) kickboxing. Are there any exercises which are absolutely no-no? Intuitively, I can think of push-ups, tricep dips and military press. If that is the case, will I ever be able to return to those or do I risk re-injury? If the static bike is a recumbent bike you could probably start that now. Eliptical bike at least 12 weeks depending on the surgeons protocol, treadmill walking maybe 10-12 weeks. There are plenty of safe abdominal exercises that you can do without flailing your arms around (check out out abdominal exercises, media tab, password is “patient”: bent knee fallouts and Sahrmann level 1 do not require shoulder involvement). Step aerobics week 12-16, kickboxing very basic stuff after week 16. This all goes without saying that you really need to clear this with the doctor. Bad long-term exercises: dips, military presses (especially heavy), anything that is jerky, or ballistic in nature. A good rule of thumb……you should always be able to see the backs of your hands while performing motions with weights. Great read and information. I have just rolled over 3 weeks since labral repair. Really looking forward to working out again and have been wondering at what I should be expecting from my PT at the moment? I currently have only a couple of home exercises to do in my own time and am not expected to see him again until the 8th of January which will be 7 weeks post surgery. I have been given some passive external rotations, hanging pendulums, passive standing flexions, and some neck stretches. Plus some door pully raises, side lying ext rotations, isometric rotations and assisted elevations to start in another week or two. Should I be seeing a PT in person more often for direct help and possibly massage etc? Also when can I look at starting to use a product like the Crossover Symmetry system for building scapular and rotator cuff strength? Is it also ok in the mean time to be doing something’s like stationary cycling, body weight squats and unilateral movements with my good arm? At three weeks Richard we are basically doing with our patients here in DC what you just described, with some manual work to the chest and surrounding muscles as well. If your comfort is slowly improving and your range is slowly improving you may not need and extra intervention. I would see a PT every week or two just to make sure that things are going well. You want to be sure that when your exercises are advanced that you are doing them the correct way. Strengthening with you probably will not begin until week 12 (at least), check with the doc to be sure. I don’t see why you couldn’t be doing some stationary cycling and air squats at this point, but once again run it by the doc. Nov 2013 I got frozen shoulder pain. I went thru physiotherapy in may of 2014, now I am completely recovered. Can I go to Gym and do weight lifting (small weights) and cardio workout? Sam from what you just wrote I would say that you probably could start doing limited weight lifting and cardio routines. Of course I would recommend that you see either your PT or doc and get the “OK” from them as well given that they have followed you through your injury and recovery. I read your review regarding the Insanity workout program and have a question regarding it. I am 19 weeks post-op of SLAP repair and bicep tendon repair. I have been doing pushups in various positions during therapy. Pushups are the only real concern that I have regarding my shoulder and the insanity program. Would you say that I should be far enough along to not re injure my recently repaired shoulder? If now is too early then when would you say would be a good time to begin the program? Samuel I think that you may still be a bit early to handle the intensity of the Insanity routine with the push ups. If memory serves me correctly, the push ups involve partial movements to the side and back. I would start by doing the push-ups in a modified fashion (the female version of the push up, with the knees on the floor as a contact point rather than the feet), and avoid the whole side stepping with the hands. Get the OK from your PT and doc as well please. On Oct. 15, 2014 I had 4 anchors put in to repair a SLAP tear which was torn from 9am to 7 pm on the face. Part of the capsule was used to create a “bumper” as the anterior portion of the the labrum was gone. In week 13 of physio. The shoulder is still very stiff. Active range of motion is 120 degrees and passively (with assistance) it is 15-20 degrees more. PT thinks that rotator cuff muscles need to be strengthened because the head of the humerus is roling up on flexion causing impingement. PT also thinks that the force couples are not in sync. Surgeon believes that due to the extent of the surgery that the issue is a great deal of scar tissue and capsule tightness. I am hoping to get full range of motion back. There is daily progress but in very small increments. Any thoughts or advice would be greatly appreciated. Bruce it does sound like you had a lot done. The bumper that the doc created does add extra time to the healing process, and I would also guess that this bumper will make the external rotation a bit tighter as an end effect. You may have a few degrees of permanent external rotation loss, which is not necessarily a bad thing as it will make your shoulder a bit more stable. If you are making incremental improvement from week to week, I would stay the course. These types of recoveries take many, many months to recover from. It may be a year until you have full recovery. It’s been 6 days after my labrum repair surgery. I’m an avid gym goer and was told by my physio that I could go treadmill walking. The only exercises I was prescribed were flexing my lower arms whilst still on the sling, and squeezing a foam ball. I did go to the gym today and walked for 30min, slowly and with a good inclination. I tried the recumbent bike but found the pillow on my sling to be in the way so moved to the upright bike, where I cycled slowly and with some resistance. I didn’t experience any pain or discomfort. I’d like to know, in your experience, was that too soon? I’m keen to go again in a couple of days but would like ask your thoughts on this and whether I can continue with the slow treadmill walk. Larissa I think that what you did was probably fine. Just don’t fling your arm around, keep it the sling. If you fall off the bike or treadmill however, that is on you. Your balance is slightly compromised when one arm is tethered down. Keep that in mind. Ask your doc what he / she thinks. Hi Dan. This has been the most helpful forum online by far, so Thank You for that. I had a SLAP 2B Labrum repair on October 29th 2014. Im 25 and injured my shoulder playing baseball, diving for a ball on the infield. Unfortunately, I am right handed and the tear was in my right shoulder. Now that Im nearly 14 weeks and my ROM is coming back Im getting the itch to get back into all my activities which include golf, hunting, weight lifting, basketball, etc. Anyone who is reading this or posting is most importantly seeking peace of mind, like myself. We all have our own PTs but you seem to be extremely educated and at least help us injured folks sleep at night. That being said, here are a few questions I have for you..
1. Throwing- When do you usually have patients begin a throwing program? And when have you found that patients get back to throwing without worry? I plan to play travel softball in the future. 2. Shooting Guns/Bow- When is it typically safe to shoot a high powered rifle, hand gun and compound bow? 4. Weight lifting- What sort of activities are safe at this point? (Legs, abs, running?) and when have you found is it safe to be back in the gym with no restrictions? 5. Basketball- when can I begin to shoot and when do you find most can play with no restrictions? Thanks again for your valuable time! 1. Throwing programs I would say are not typically started until 16 weeks, and they start VERY gently. 2. I guess it depends on the caliber of the weapon. Many people would probably be safe shooting a 22 at 16 weeks. More powerful weapons I would hold off until you have no pain whatsoever and the OK from the MD. 3. I agree with your timeline in terms of golf swings. Let the club do the work. There are also great golf strengthening programs out there provided by PT’s. Find one and start doing it (with the OK from the doc as well). 4. Legs, abs, treadmill, and elliptical are all good. Arm weights usually don’t start until 16 weeks. The higher level stuff (pull ups, bench presses and such) should be done much later and with lots of assistance. 5. You could try a very gentle shot at 16+ weeks. Start with mimicking that motion first with a hint of weight to get your shoulder used to it. Your last comment slightly concerns me. Listen to your pain! These activities in general need to be ramped into very slowly. If you are getting anything more than a light ache you need to give it some more time and work on strengthening the appropriate muscles. I realize that this can be extremely frustrating for an athletic person like you, but the concern at this point in your rehab is not necessarily disrupting anchors. Your worry should be overuse tendonitis. It can happen readily if you push too hard. Good luck! plz help me i a 7 months post operation,i had bankart AND slap repair.,at months i started light waight lifting,now at 7 months my arm still hearts,i am very very week when i am pushing things or when i am trying to open a door ,why i can not get pain free at 7 months?how much time does it need to get full recover? why do i still haert? Thanos I would have a physio look at the shoulder and see what is going on. It sounds like you need to still do some focused strengthening. It may take several more months for you to recover. Good evening, and thank you for your time. I am going to have my SLAP tear surgically repaired. I was originally diagnosed with a bone bruise in my left shoulder. After about two months of rest I started training again. I do a lot of heavy lifting, military press, bench press, farmer walks, pull ups, dips, push ups and a lot of atlas stone lifting, 185lb-350lb stones. I am not in much of any pain. I am a 25 year old male. I am beginning to think that surgery is not the right option for me. I have full range of motion, and I only have pain with certain movements and bearing some weight. Well, to be honest I would just like to be assured that in time I would be able to resume my heavy weight lifting training as it is a big part of my life. I was actually with my orthopedist today and was told on a scale of 0-10, my shoulder is about a 5. Again, thank you for your time. Cory that is a tough question to answer. If you do have the labrum repaired, you will likely not be doing the moderate to heavy lifting for at least 6-8 months after the surgery. You are going to have to be super patient about the rehab process. My greater concern is that at some time down the road you are going to damage your shoulder again. You are a prime candidate for a rotator cuff tear based on your activity level. If you are doing all of the aforementioned exercises merely as recreation, then you should give serious consideration to modifying your routine permanently. You basically have listed off most of the exercises that I would steer away from after having shoulder surgery (DIPS, military presses in particular). There are plenty of things that you can do for strength training that involve less of a risk. Good luck and once again, be patient with the rehab! You do have age on your side Jon, outcomes for people like you tend to be much better than the rest of the population. Having a prior surgery however will slow down your recovery a bit. I have a patient a few years older than you that had almost the exact thing happen to him (2 surgeries, labrum). He started doing all of his previous weight routine at six months, but at a lighter weight of course. In terms of the other things that you mention, throwing requires ideal strength and will probably be one of the last things to come back. Probably 6-8 months with a slow ramp-up in intensity. The other stuff that you mentioned will be doable sooner that that. You could probably run at 3 months if the doc clears you. If you are careful and clear it with the doc and the PT first, core workouts could be started at 2-3 months (not using the shoulder of course). As always, get the final OK from the doc! Gentle golf swing maybe at 3-4 months? Emphasis on gentle. I can’t tell you if you will make a “full” recovery, but I would bet that you will be very close to full. I had a 80% tear of my rotator cuff and had it repaired on 12/12/14.During surgery the surgeon was looking for the longhead tendon and discovered i had no trace of one.This also happens to be my dominate shoulder.I am 45 years old and wondwondering how long rehab will last? Wendy I have never heard of someone not having a long head tendon (I am assuming that it is the long head of the biceps). I imagine that this might add a bit of recovery time because you may not have normal mechanics in the shoulder to begin with. Rehab will usually last for a good 3-6 months. I would guess that you would be on the longer end of that spectrum. tear 1 cm and I was just wondering if you have ever heard of someone going back to power lifting after this? My doctor says I should beable to go back.was wondering if you agree?I trust him just was wondering if you have any patients yourself that have gone back. You probably could, but I would get the final clearance from the doc and your PT to do so. Realize however that it might have been possible that these things happened to your shoulder because of power lifting???? Your rotator cuff strength and your scapular strength needs to be ideal prior to going back to power lifting. On December 15, 2014, I had a labral debridement, sub-acromial decompression, and distal clavicle excision on my right shoulder. I had about 8 weeks of physical therapy (one session per week), and finished several weeks ago. I am still experiencing pain in the repaired shoulder during push ups. Since it has been almost four months since my surgery, was wondering if this was normal and, if so, what is the average recovery for a 53-year old male in excellent physical condition. Also, should I avoid push ups until I can do resume doing them with no pain? You had your distal clavicle resected for a reason Allen. Push-ups and apply direct pressure to the acromio-clavicular joint, so I am guessing that you have done tons of push-ups over the last thirty years? I wouldn’t do push ups yet. Maybe try some cable flies for a while instead. You can still hit the pecs and lessen the strain on the AC joint at the same time. For the long term, I would only do push ups occasionally. Mix in other chest exercises, your body will last much longer. Thank you Dan! Yes, I love push ups and have done quite a few in my life. I started using resistance bands in 2009, and have done a lot of resisted push ups using push up bars with moderate to heavy resistance. I have done chest presses using the bands from the door anchoring system I use. It feels a lot better than resisted push ups, so I will take your advice and suspend doing push ups for a while. I have also done standing two-arm flyes with the bands from the same anchoring system, and they feel great. Dan, what about shoulder presses, even with resistance bands? Should I suspend doing those for a while? And should i basically suspend doing anything where the arms are being extended overhead (shoulder presses, lat pulldowns, etc.)? Lat pulldowns are the least problematic of your list because you are pulling rather than pushing. I would wait on the shoulder presses until symptoms calm down. Something happened to my left arm when I forced it over and across my head to remove a close fitting garment. Arm felt like I pulled shoulder area too hard as I was removing shirt. Thought sore arm was getting better until this week perhaps I aggravated it. I get pain below shoulder in upper arm area , bicepts area when I try to dress myself. Lifting arm causes pain in bicep area too. Is this a strained muscle? I’m scheduled to see my doctor; should I ask for physical therapy to learn exercises to help heal this? It depends on what is going on. This may be just a strain of the biceps tendon or rotator cuff. I would avoid the overhead reaching activities for a while until you see the doc. Try not to sleep on that side either. Physical therapy might not be a bad idea, but I would let the symptoms calm down first. PT would serve to build up any weak areas in your shoulder and upper back so that your tendons would be less likely to bump in to anything with the overhead activities. I had two shoulder tendons repaired on Dec 8 2014. In the last 5 months I have stretching and performing simple arm raises at different angles walking my arm up the wall and I am almost at 90 degrees. Can I start doing pushups and weight training (with stretch bands) to strengthen the shoulder? Thank you. At five months the doctor should feel okay clearing you to start with LIGHT RESISTANCE with the stretch bands. Get his or her permission first. In terms of push-ups, I start patients here at PhysioDC with a “wall push-up”. Stand facing the wall (back a bit so that you are leaning forward) with the hands on the wall and try a few sets this way. If that sounds confusing, see a PT and get some instruction to be safe. Age 73, surgery about 1 month ago. Not sure what was done. Plan was for arthroscopic but due to unseen damage now have 4-5 inch incision running from the top of my shoulder down over the outside. And was told bone spurs were removed. Was told that PT may not be necessary and given one exercise, lay on bed and use both arms to raise bar over head. I guess lack of information is my main concern. Will see doc in a few days for my one month after surgery. I am not sure what to ask. I still have trouble sleep at night in my bed, chair seems to easier. Some pain and I know if I over do it during the day I will have pain at night. Don’t care for the side effects of pain pills so I don’t take them. I plan on asking the doc to sign me up for some PT work so I can track my improvements. I can pretty much do anything as long as I don’t have to lift my arm past my shoulder. I know I am not a very patient person and do have a tendency to push any recovery time. I would very much not wish to repeat all this but lack of knowledge is driving me nuts. I guess I am wondering just what I should ask my doc when next I see him? 1. Did he repair the rotator cuff? If so how many tendons and how much was torn? 2. When can you progress to active range of motion without the bar (for example standing and facing a mirror, lifting the arms to shoulder level or above)? 3. When can you progress to light rubber-band resistance exercise? I would push to get at least a few visits of PT. If you have Medicare, getting visits approved should not be a problem. The doc needs to write you a script for PT. I had Bankartrepair surgery in both shoulders, one has 4 anchors and another has 3. this month it will be a year passed since my last surgery…I used to do tough sports like kickboxing and parachuting and I really want to practice again…do I have to wait more time? more PT? I would have the strength checked out by a PT to get a final okay to start back at what you mentioned. At a year in most cases you should be okay, but it does depend on a lot of factors that I cannot judge because I am not looking at your shoulder right now. Surgery was April 23, 2015 Five and one half weeks ago. I start resistance training last Friday and noticed pain during the exercises. I could push through it and after a while the pain would go away. But my bicep has stayed sore. The therapist seems young and unsure about what she is doing. She gave me laser had me doing bands after I told her it was still hurting Monday. It hurt constantly during the workout. Afterwards she gave me a massage to the bicep. That seemed to make it worse.It was so sore last night I could not sleep. The doctor got on her about not doing enough at one point. Now I wonder if she is over compensating for it. I am not one who questions usually, but I am worried whether it is normal to be this sore. Ugh. Depending on what you had done Lynn, I would back off resistance training at 5 weeks, especially if you had either a rotator cuff repair or a labral repair. That just seems too early, especially if you are having a lot of pain. Our protocols usually do not incorporate resistance / rubber band training until at least 10-12 weeks. Is there a PT around who has tons of experience??? Try to hook up with someone like that. Don’t worry about hurting the feeling of a younger PT, it is your shoulder after all. I’ve been in touch with you in the past…. Now I’m recovering well from the rotator cuff repair (large rear supraspinatus only, rest RC intact), bursectomy and decompression. it’s been 7 weeks and 4 days now. I’ve regained 85% of my ROM pretty fast, not much pain, only struggle now with internal rotation (i.e. hand behind the back. I am getting there, but it’s very painful). I’ve continued working out throughout with my sling on tightly strapped to eliminate all movement. I am a personal trainer, so knew most about what I can or can not do and was guided by pain. I’ve not used my surgical arm for workouts at all. Now, almost 8 weeks on I’ve started running. I continue sling in the gym as a precaution but wonder if I can just stop sling all together now? I was cleared from wearing the sling after 6 weeks. Also wonder if its safe to do some plyometric exercises? I’ve tried already last week (week 7) and it was fine, no pain in the shoulder at all. I have also been told no strength training till 12 weeks on. I’m confused however why I can’t start gentle swimming, as some websites say it’s ok after 6 weeks? Doctors do not tend to be overly cautious in my opinion. The last thing that we need here is for you to take a spill while running. You really should get the doc’s okay before starting swimming as well. The protocol that we stick to here in the clinic is active range of motion after 8 weeks, light resistance after 12 weeks. In terms of the sling, I do agree with you. the sooner you are out of that the better, but once again, get the doc to give you the green light. I was cleared off sling after 6 weeks and just worn it at gym for now. I only took running on the treadmill for now, but my PT said I can start running. Regarding plyo I didn’t use sling during jumps so just wondered if impact is not affecting repair? I’ve not had pain during and after and have good ROM in frontal plane. I will wait for resistance exercises after 12 weeks. Alexandra I don’t know if my last comment went through, but here it is just in case. In terms of the resistive training I am going to agree with the docs. Active range of motion after 8 weeks, light resistance after 12 weeks. In terms of the sling, I agree with you. the sooner you can get rid of it the better, but once again, you need to get the green light from the doc. If you are going to be doing plyo jumps and running etc., you need to have at least somewhat normalized shoulder movements. I actually think that trying to do that stuff in a sling can be dangerous. Hi my names kyle I’m 22 years old. I just had a labral bankart repair done about 3 months ago. My doctor just cleared me to do light weight lifting of my choice, I am a basketball player and I’m not totally comfortable going back yet afraid of a re dislocations. How long should I wait till I play again. I can’t stand the wait it hurts watching. ! I work on my shoulder almost .every day. I would of course start with just shooting a round a bit, no full court games for a while. At your age I would guess that most docs would clear you for playing at about 4-6 months? Ask the doc specifically when you can start shooting around again. 3 months is a bit early in my opinion. The fear of dislocation can be annoying. You might want to try getting one of those neoprene shoulder stabilizers to start as a transition back in to playing. They do provide a little bit of support. For starters, this blog/forum is awesome! 50 year old male in good shape here. Lifted weights most of my life. I had surgery on April 22 to repair a full supraspinatus tear (4 anchors), a large subscapularus tear (2 anchors) and a bicep tenodesis (1 “double’ anchor). Today is a little over 9 weeks out, I started PT 5 days after the surgery, passive first few weeks, then active, and have done very light resistance (bands and pulley machines) since 6 weeks out. I have been going to PT 3 times per week, but do the exercises every day (I have a cable machine and bands at home). My questions is this: I have no issue changing my lifting routine to using machines going forward. The Hammer Strength and Cybex machines they have now pretty much simulate free weight anyway. Will I be able to go back to lifting weights with max intensity if I make sure I so everything CONTROLLED? (like the machines I described basically force you to do)? I don’t care much about about weight and PRs nowadays, but love body building and would like to lift hard again. Your thoughts on if I will be able to lift as I describe? And if so, when? THANKS!!!! Nick I would not go back to 100% intensity after having all of that work done. You would be asking for a re-injury given the amount of damage you had. I would aim for less weight, perhaps more repetitions. The focus at your age now should be more for tone and maintenance rather than strength and muscle bulk gain. I have had this conversation with countless patients just like you. Your tendon vascularity is just not what it used to be. Be conservative. Find a good PT or a medical exercise trainer who can guide you through the latter-stages of your transition back in to the gym. Thanks for the reply Dan. Makes sense. One follow up question…if I used less weight and higher reps, and controlled the weight, would you recommend I not go to failure? (failure described here as going until I can’t do another rep with good form). It is safer to go to failure with a lighter weight, but if it were me I would not go quite that far. to the left shoulder. I’ve become so fed up with the stiffness of my right arm, it’s basically out of the sling now because I feel like this tingling is a nerve thing caused by the sling and carrying my arm in a cramped position for so long. Just started pendulum swings, too. It feels great to have the arm down but everything is so tight. The sensation in the jaw and ear is definitely not common, and it is worth asking the doc about it. My guess is that the sling may have enhanced a forward position of the head and neck, which may be placing undue stress on certain nerves in the neck. I would ask the doc to do a quick test of the cervical nerve roots and the cranial nerves when you see her. That makes sense. My PT did say that I had to pull my shoulders back and that many RC patients seemed to adopt this posture if they were in a sling for a long time. Thank you, I’ll ask her to check those. Hi, I went to play pool and snooker the other day, and my shoulder is hurting and giving me sharp pain. Its been 4.5 months and I think I damaged my surgery, I used force to hit the balls in, and I think I must have ripped or dislodged the anchors in my shoulder. Is this possible after 4.5 months?? Why am I experiencing muscle pain and aches as well as sharp joint/bone pain. If it was the first time that you played, you may have just strained the shoulder. It would not hurt to talk to the doc about it, but it does sound unlikely that you pulled an anchor from just doing that. Those anchors are firmly healed by 4.5 months. I had shoulder surgery in January. I was in a sling for 6 weeks followed by 3 months of rehab. I progressed very very well. After that I went to the gym slowly on and off. Its been 9 months since my surgery. After my rehab I have not focused on doing rehab exercises as much. I feel that my shoulder is weaker now. I am desperate to get back into the gym. Is swimming a good option for a person 9 months out from a torn labrum. Also what supplements would you recommend I take to strengthen the labrum/ligament in my shoulder. Swimming requires a lot of control on the rotator cuff. I would hold off on swimming, particularly if the shoulder is weak. I would start with very light weight exercises in the gym first, with some supervision from your PT or doc. Most of the supplements on the market do not have any solid clinical research that supports strengthening soft tissue and cartilage structures. Your best bet is probably good nutrition. It’s been over two years since the tear in my shoulder. I completely severed my labrum and my surgeon had to pin it back. I am still in noticeable pain. My shoulder just feels very weak. I am a pretty athletic guy so this is disappointing. My doctor injected me with a cortisone shot and it did not help much. Is the atypical? Could this be signs of a failed surgery? I am still strong, meaning I can lift heavy weights and do pull ups, but not without pain. A full labral detachment and repair is a big deal. I would say that with that amount of tearing it is difficult to get back to 100%. Regardless, I would make sure than you are training the rotators to get them to the best strength possible. I am a HUGE fan of using the “body blade” to work on this type of strength. The model that we use at the clinic is the “Body Blade CXT”. Give it a look, they are not expensive. Thanks for the blog and for taking the time to answer our questions. I am a 23 year old man, and I had a Bankart lesion and labrum repair surgery on my right shoulder 12 weeks ago. I went in for PT 2 weeks after the surgery and continued that until week four. I couldn’t continue PT after that because I moved to a different city for work and couldn’t find a physical therapist with my hectic work schedule, but I continued performing exercises as instructed by my therapist. Now, at week 12, I have regained full movement of the joint and face no problem in my day-to-day activities. I spoke to my surgeon on the phone and he advised me to start light-weight strengthening exercises in the gym. I’m guessing I can continue my lower body and core exercises the way I did them before the surgery (the ones that don’t make me bend my shoulder in an unnatural position), but which upper body exercises would you recommend at this point? I know I am to stay strictly clear of the bench press, the standing deltoid raises, military press, tricep extension, etc, but can I do pretty much everything else with light weights and slowly work my way up? I look forward to your answer. Once again, thank you so much! Parth I would start the upper extremity exercises with a very light amount of weight. You could try external and internal rotations with a rubber band and “I’s”,”T”‘s, and “Y’s” over an exercise ball to start. The ball exercises are in our shoulder exercises on the website (media tab, password is “patient”). Make sure that you clear them with the doc please! I would run it by the doc to be safe. Weak muscles can cramp easily, so cramping is not that uncommon early after surgery. The biceps does attach right on to the superior portion of the labrum, so it is preferable that the biceps is not pulling constantly on the labrum. I had a SLAP repair surgery 14 weeks ago. I had a tear from the 12-3 position that was more fraying than a full on tear with the main issue being scar tissue removal. I have been doing PT and I am almost at 100% although I do have a few issues with flexibility. My doctor told me that I could start doing weight-lifting exercises and other type of resistance training. I started doing push-ups, but I notice a general pain over the top of my shoulder. It is not intense enough to make me stop, but I needed to ask if this is natural since I haven’d done push-ups since well before my surgery. Push ups are likely too much of a load Nelson. Start with wall push-ups for a few weeks, and then progress to the “modified” push up position for a few weeks. You should also be doing a scapular routine. John from what you are saying a large part of this sounds like the adhesive capsulitis. If your patient is in the earlier stages of the adhesive capsulitis I would expect this to happen. Heck, the surgery itself may have exacerbated the adhesive capsulitis. I think that you will be seeing this patient for a long time. I would err on the side of being very conservative for the next month or two and see if it loosens out a bit. I would steer away from any aggressive mobilization or stretching. Less is more. Thanks for your advice. I will be cautious with the mobilisation. What are your thoughts on trying to loosen up the scapula ? I would say that is a good idea. I would also maybe work on rib mobility as well. I have found that rib torsional mobilization will often help with that scapular movement. Can you give me some ideas to losses the posterior glenohumeral structures ? Have you ever heard of the “sleeper stretch”???? Hi, I had a torn labrum in both shoulders and had surgery in December 2014. My doctor said I should recover by March 2015. I had some minor setbacks and took time off from therapy in June 2015. I picked back up and felt better a year after the surgeries, but still have pain. It hurts when I overstretch. In therapy they said my range of motion was great and my strength worked its way back up. It is June 2016, and I was wondering if it is safe to do push ups, pull ups, dips while not feeling like I have to start all over again. Also, when should I consider weight training? Thanx for your time and answer. A few ideas based on what you said. 1. Don’t stretch aggressively to your end ranges. If your PT said that you have good range, there is likely no pressing need to stretch. 2. I would never do a dip ever again. It places the shoulder in an unstable position, especially for those who have had surgery. 3. Start with light bench presses and lat pulldowns, then perhaps work your way up to modified push-ups and assisted pull-ups. Make sure that you are listening to what your body tells you. Back off if you feel disproportionate pain. 4. Weight training should be started with exercises that you can do at least 20 repetitions per set. Strengthening needs to be gradual. I have read some really good information here. I had a left rotator cuff repair April 25, 2016 at our Veteran’s hospital by a senior resident backed up by an experienced attending. On the afternoon of surgery I was sent home with a nerve block and instructed to not remove the sling at all. I was not given any instruction regarding movement, exercise, or physical therapy. May 11 I returned, had the dressing removed and the stiches out. I return June 22 to supposedly remove the sling and begin PT. My question is regarding my plethora of other health issues: metabolic syndrome (I weigh 345 pounds, and have breast tissue among almost every other sign and symptom of the ms), I also have low grade prostate cancer (gleason score 6), type 2 diabetes, osteoarthritic knees, 3 bulging disc at the lumbar area, and my testosterone level is 120. I so much want to lose weight and get rid of the metabolic syndrome, but the best way is to increase my testosterone to a normal level. My physician discourages this because of my cancer. (the cancer has been stable at grade 6 for 4 years) Because of everything that is going on, I am anxious to begin an exercise program–including resistance training–with the goals of improving my diabetes, losing weight, getting rid of my extra large abdomen, and just get really fit. I am 59 years old. I have read that with a proper exercise program, I can improve my testosterone level naturally. It is my idea that this may not have a negative effect on my prostate cancer as artificially introduced testosterone would. And by consistent devotion to the exercise program my testosterone will naturally increase, I will lose weight (of course my diet must change, too) and the extra large abdomen, my diabetes should be easier to control, and I will feel human again. My question to you is how long will it be before I can do my resistance training? I know I must begin with light weights and build up from there as tolerated, but can you give me an idea whether or not I can do the resistance training exercises sometime in the near future, or will I have to forget it because of my surgery on my shoulder? Your situation is definitely complex. You obviously need to have your progress monitored by your MD throughout this process. In terms of starting resistive training, I don’t think that it should be a problem to start with the lower extremities now. A recumbent bicycle might be a good idea, and I also think that you ought to be able to do some leg weights if you had the right supervision. I do recommend that you use some sort of medical or training professional to guide you through some training for the lower extremities. In terms of the arms, most protocols don’t start light resistive training until 16 weeks. Because of the complexity of your overall case, I would push that back a little bit, maybe to 18-20 weeks from the surgery date. This needs to be started under the supervision of a PT. The exercises will probably bore you to start because of the simplicity. Build slowly, and allow a day in between workouts for recovery. Hello, my shoulder has been majorly out of place for the past month. We went to the doctor and it is not getting much better. I am 17 and I’m coming up on my next season of basketball. If I get surgery will I be able to play in the basketball season? It starts mid October. Kara I don’t really understand what you mean by “majorly out of place”. Surgery in general will put you on the sideline for up to six months depending on what is done. Hi there I am a 15 year old boy and had latarjet shoulder surgery 11 weeks ago. I am 1 month out of a sling. Is it normal for me to get pain along the tricep when I am at full stretch in all positions. Although this pain is not big but just there to be a pain. I was also wondering when I might be able to do press ups and to do flat water kayaking. I know that I wont be able yet but just wondering how long it might be. Kayaking, maybe 16 weeks or more. Press ups 16 weeks or more, you have to start with very light weight and slowly work your way up. The pain thing is totally common, especially when you are ramping up the activity. Hello I had shoulder surgery to repair ligaments about two weeks ago. I just leaned on my bad arm and I heard grinding in my shoulder. It hurt really bad and now I can hardly move it. Do you have any ideas on what this could be? Do you think I’ll need another surgery? If you just leaned on it I don’t think that you ruined the surgery. You may have a bit or arthritis in the shoulder, or the tendons may be gliding over certain boney areas with certain movements. Talk to the doc about it. Hi I am one week post op. My surgery was a scope on my shoulder to fix the ligaments. I am feeling pretty good now and I can move my shoulder pretty well. Is this normal that I can move and be so confertabke after a week? How much longer will I be out of basketball? I would say that you are on the more lucky side Lewis. I am going to guess that you are young, which helps a lot. My advice to you is this: Stay within the doctor’s rehab guidelines. Just because everything feels great should not give you the “green light” to push things too far too soon. If the doc says no weights until 16 weeks, NO WEIGHTS UNTIL 16 WEEKS! I am guessing that you will be out of basketball for at least a good 3-4 months. Get the final okay from the doc before starting up with basketball, and of course start with just light drills and gentle shoot arounds for a week or two prior to starting full court playing etc.. Good luck. Hope all fine at your end. Sir I had anterior shoulder dislocation back in 2010 while falling with heavy weight. After 8 recurrent dislocation, I had open bankart surgery on 24 Feb 16. There inserted 3 screws for tightening the socket. It’s been 5 months. I regain my range of motion but shoulder is weak and I can’t do push ups and pull ups. I am doing wall push ups. Can I be able to do push up and pull up after 1 month? Start with the wall push ups and slowly work your way up to “modified push ups”, meaning keeping your knees on the ground. I would do modified push ups for many weeks to build up your tolerance, then try a regular push up and see if you can tolerate it. Most people cannot go directly to regular push ups. Five to six months post-op it should be safe to try this progression, but make sure that the doctor gives you permission to do it. And sir any exercise for pull ups? I think that “pull downs” are a good lead up to “pull ups”. Pull downs are done with a bar with a resistive machine. But they can also be done with rubber tubing resistance. 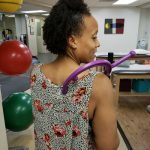 If you check out the shoulder exercises on the Media / exercise tab on our website (the password to get in is “patient”), it is exercise #13 “lat pulldowns”. Great blog! I have learned a lot from both the posts & the comments. You mention that Military Presses are not worth doing if you have had shoulder surgery. Are you referring to any type of overhead press, or just an overhead press that begins/ends behind the neck? Any overhead press should be done with caution. Behind the neck is also not so great for the neck, so that particular exercise is not a favorite of mine either for two reasons. No external rotation at all? That is strange. In order for that to happen the anterior portion of the capsule is probably very tight. Sometimes shoulders will develop capsular tightness in response to surgery. That could be possible, but it is usually tight in other directions as well. I would give it some more time to see if it loosens up. Very often capsular tightness will eventually go away with light stretching. You could also try a static-progressive brace such as a “JAS”. You would need to talk to the doc about it and get a prescription. I’m just 22 and I have bankart lension and hill Sachs Doctor has recommended me a Arthroscopic surgery. But I’m afraid. Can there be any alternative treatment like homeopathic or any Ayurvedic please sir guide me. Meh, I can’t think of any other type of treatment other than trying physical therapy to strengthen the muscles around the shoulder. If you want to play a high level sport that involves throwing or getting knocked around I would probably opt for the surgery. You are young and will likely recover nicely. I have not had a shoulder surgery but i have some sort of brusitis or tendonitis since 2 years. Now after 2 years of few different physiotherapy sessions and orthopedic medicines (cortico steroids), i don’t feel the pain in my shoulder unless i stretch it post 90 degree above my head. Sometimes i do feel a little discomfort here and there if i suddenly put my weight on that arm or stretch that arm horizontally all the way to the other side (i.e my bicep touching my chin). I can pin point the point of pain to be on the anterior delt (Right where my armpit starts,Where my pectorial muscle joins my shoulder muscle). My pecs and upper traps are still very much defined even after 2 years of break from any form of workout. I used to do lots of push-ups and hand stand push-ups back then. I suspect that this injury is due to muscular imbalance, as i literally have no back muscles. Since the point of inflammation is on the anterior side, i cannot do push-ups as the pains for next two days after that. And i cannot summon the courage to do any overhead exercises such as pull-ups as the discomfort is evident when i try hang with my hands to a rod. Would you suggest me to join a gym and do exercise my back muscles (excluding overhead exercises) so as to treat the possible muscular imbalance that i have which would help my shoulder to heal completely ? ABSOLUTELY! I would also recommend that you see a PT to get a good program of gym exercises started. We want to make sure that you are doing the correct exercises. 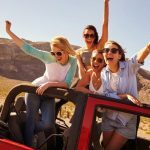 Is open shoulder surgery more painful than arthroscopic shoulder surgery? Will the recovery time be longer and will I be bed ridden after surgery for longer? Hmmmmmmm. In theory I would think that an open surgery means that more work needs to be done, so I would agree that it could be more painful and need more recovery time. There are so many variables involved however that I would not use this one facet as the “be all and end all” of your decision making. If you could have the same end effect by having it done arthroscopically, then I would of course consider that option over the open procedure. I had shoulder surgery about 4 to 5 weeks ago and it was from multiple diclocations of my shoulder. My doc said when he was doing the surgery, that my shoulder look really bad. I been recovering really good so far. I been walking a lot to at least get exercise and is it ok to walk a lot because I feel so pain in my shoulder but nothing to big. I just wouldn’t exaggerate the pumping motion with the arms. A normal arm swing should be fine. Don’t over-do it. All i can say is WOW ! I have never seen so many under prepared un educated people on what, when, why and how shoulder surgery is and what expectations or treatment plans should be encountered. I have both my Bachelors Degree and Masters Degrees in Kinesiology and have worked in the healthcare field for over 30 years. It still amazes me how irresponsible Doctors, patients, Physical Therapists and medical staff are in coordinating diagnosis, treatment plans, outcomes education, methods of surgical and non surgical repair and prognosis. Simple things such as educating patients on biomechanics of the shoulder as well as what and how the shoulder works. In addition, preliminary meetings and coordinated discussions between the doctor, patient and physical therapist should be the norm. All of these questions and concerns should and would mostly be non existent if protocols, proccesses and procedures were standardized and agreed to as part of the “medical” journey whether for shoulder surgery, knee surgery, heart surgery or any other medical intervention. If I can add one piece of advice here, it would simply be ownership and preparedness of what shoulder surgery is and all expectations from all participating. OWN YOUR BODY PEOPLE ! I would have to agree with much of what you are saying. There is a bit of a silver lining to this massive storm cloud. It does appear that there is now a push for evidence based research for post-operative protocols. At least now most of the patients that we are seeing do not start PT until 4-6 weeks post-op. Hooray! I HAD ROTATOR CUFF SURGERY ON MY LEFT SHOULDER IN FEB. OF 2015. I WOULD LIKE TO KNOW WHAT CHEST EXERCISES ARE SAFE FOR THE ROTATOR CUFF TENDONS. I START DOING PARTIAL PUSHUPS BUT THINK THAT IM GOING TO MESS UP THE ROTATOR CUFF AGAIN. I HAVE GOOD STRENGTH IN THE TENDONS(STILL HAVE PAIN SOMETIMES) BUT I WOULD LIKE TO GET STRONGER FOR WORK. THANK YOU. In terms of chest exercises, I would say that a flat bar bench press is a bit safer than using dumbbells because the bar stops at your chest, whereas dumbbells are often brought further down to your sides (not a good angle for the shoulder). I would also say that a machine fly is probably pretty safe. Modified push-ups are less force on the shoulder than regular push-ups. I would only lift light things. Maybe 5 pounds or less. Heavy lugging would probably irritate the rotator cuff. Talk to the doc about this as well. A 12 to 7 tear is pretty considerable. My guess is that this will be maybe 5-6 anchors? If his joint capsule is very loose to begin with, it will probably make it easier to get the range back. I also think that this will probably take upwards of a year to get back to fast pitching. Hello, I am five months post labrum and rotator cuff surgery. I’m moving so I’ve been cleaning and caring bags of trash down three flights of stairs which has me quite sore (labrum area). Is this normal at this point of recovery time? I would say yes. The strength of the shoulder is probably not there yet. Make sure that you do not over-tax the shoulder. Use both hands for most tasks and allow for rests. I’m an avid runner. I’ve been having left shoulder pain for about a year now. I have just dealt with the pain because I was training to run marathons in October and November. I stopped doing any lifting of weights or pushups as they caused more pain. I did a lot of stretching of the shoulder and took naproxen and used e-stim. I recently had the shoulder checked out and had an MRI done. I have a small full-thickness or near full-thickness articular surface, tear of the distal supraspinatus tendon anteriorly with 8mm retraction of the torn tendon margin and the anterior acrominion process is mildly downward sloping laterally. I was hoping to recover from the injury over the winter months so I can start running again by no later than April. I’m 47 years old and very active. Would you recommend surgery? I would recommend a round of physical therapy. You may be able to do your running without pain if you get the scapular and RC strength improved enough to have minimal irritation with repetitive arm movements. It is worth trying the conservative route. I had rotator cuff surgery and after 3 weeks I went to Physical Therapy.. did I go to Physical Therapy to early? I also stop the Physical Therapy after one week due to a lot of pain . I hope I didn’t damage anything. When should I resume Therapy & work ? Most protocols now don’t really call for much intervention until 4-6 weeks after the surgery. 3 weeks might have been a tiny bit early, but it does depend on the what the doctor did. Maybe a return to PT at week 6 might allow for the structures to heal more. I am a 44 yr old male who had a labrum repair 3 yr ago, with one anchor. The tear was 5 mm in size, just below the long biceps attachment. The surgery and rehabilitation were a great success. Everything is fine now, and I have been progressing with some exercises in the gym during the last year. The only pressing movement I allow myself (and will ever allow), are the push ups that I have been doing on an elevated bar, at gradually lower heights. No overhead pressing or dips at all, never. And those push ups I do them avoiding having my elbows past horizontal. But the time has come to do those push ups on the floor, and I am truly scared because it seems demanding. Is that dangerous for my repair? I also do horizontal rowing, and I have started doing pull ups (prone grip for a bit less biceps recruitment) with the help of an elastic band. My shoulder seems happy, but againg this is demanding. And it is an overhead movement (although pulling, not pushing) which also scares me. Am I risking destroying the repair? The goal of my program is full push ups (which I am about to reach) and pull ups and some horizontal rowing. No other upper body exercises. Should I stop and avoid stength training? If you are doing the angled bar push ups, you can probably handle regular ones. I would maybe start with modified push ups with the pressure on your knees rather than on the feet. The pull ups are demanding, so listen to what your body tells you. You very well may be able to keep doing them with some assists. If anything starts to get sharp, back off. You are probably going to need some extra time between workouts for recovery as well. Give an extra day. Thank you for your article, and for your responses so far. I am 28 and have been suffering from a subacromial bursitis in my right shoulder for several months, likely from overuse in the gym. I eventually had a steroid injection from my physio which helped for a few days, but it returned. Eventually I cut out all gym work that used the shoulder joint, bar from carrying plates for squats to and from the rack. After no improvement, I have stopped going to the gym all together for the past 8 weeks. Still no improvement. I’ve had long bouts of 3x naproxen daily which help the daily pain but don’t seem to progress the healing. I stretch daily but cannot stretch the shoulder without pretty sharp pinching and pain and don’t want to push it – it aches after I stretch it to. Do you have any thoughts on what the next step could be? I’d like to avoid surgery if possible but it doesn’t seem to be going anywhere. I would give it a few more months of rest. Surgery should always be the last resort. You might also want to try some guided, very basic rotator cuff and scapular strengthening. I have also found that having some massage work done on the scapular muscles may help. Thank you very much for your reply. I’ve been trying to stretch/do mobility exercises but I find the pinch to be too painful, and coming ‘down’ from the stretch always hurts. The problem area is across the front of the shoulder – would scapular/rotator exercises still help? They could possibly help, but I would keep them in the “pain free” ranges only. If stretching is causing a lot of pain, I would ease off those high motions especially. I’m so sorry I know this is not your field but no other sites can help me. I feel this lump in my shoulder it feels about the size of a quarter. Could this be a tumor? Have a dermatologist or other MD look at it. Generally speaking if you can move it around with your fingers then it is probably just a fatty deposit. You could have also torn something like your biceps, that can get “balled up” a bit in the shoulder and be painful with lifting. Whatever it might be you should see a doc about it. I am around 6 weeks post op my second surgery (the first was in August) the surgery was to repair a capsule and larum tear. Ever since the surgery there has been sharp stabbing pains around my rotater cuff even when I’m not doing anything. What could that be? Also in PT when I am lifting my arm up I get pinching pain. Last time I had pinching pain when I lifted my arm up I had the labrum tear. Do you think my labrum could be torn? 2nd surgeries to the same joint take considerably longer to heal. All of your RC is super weak right now, that can account for the sharpness. It is probably going to take another month or two to start seeing some improvement in strength. As always, talk to the doc if you are concerned. Prayas you are free to look at the shoulder exercises on our website. Go to “media”, exercises, and the password is “patient”. You could try the pulley exercise, side lying external rotation, pendulums, isometrics, and “V” sliding up the wall. I am merely guessing as to what might help you. I would really see a doctor or a PT about this in person to get some ideas! Rugby is going to be a high risk activity regardless. If the pain is workout related, it should not feel like the pathological pain that you had prior to the surgery. A diffuse ache and muscle belly soreness that goes away in a day or two would probably fall within the acceptable range. Another note, make sure that you are allowing adequate time for recovery in between workouts. If it is aching persistently, I would steer away from your current workouts and maybe focus on more simple rotator cuff and scapular strengthening. Hello Dr Baumstark, my name is Benedicto Torrecampo; I am 19 year old male that has undergone slap tear surgery on the date February 2nd of last year. Having it been a year since surgery I have already undergone the physical therapy relevant to my recovery. I have just gotten back into hitting the weights again and have built up some size. However my shoulder still kind of feels a bit weird: its hard to explain but i feel as if my mind muscle connection within the socket is a little bit off. I guess my question is will this connection ever get back to normal (like my dominant right shoulder) or will this be something permanent? More importantly can you recommend some exercises that might fix this problem? Also, I am pretty set on getting back into jiu jitsu/grappling, a sport i once did before; can you recommend any exercises that might be relevant to grappling; there is a lot of planting and control used with this sport (grabbing wrist, grip fighting, etc.) Should i use kt tape to better stabilize my shoulder during these grappling endeavors? You’re advice would be greatly appreciated. The “weird” feeling in the shoulder is pretty common. I would check to see if you have normal internal and external rotations of the shoulder. I have found that many people in your situation lack the full internal rotation because the head of the humerus sits in a little bit of a forward position. You should check out our blog on shoulder rotation, it explains it well and gives a good exercise recommendation. Grappling is one of the higher risk activities in regards to shoulders because of the jerky / traction type forces that can occur. Anything that you can do to make the shoulder a bit more stable is a good idea. K=tape should be fine. I am also a huge fan of using a “body blade” for stabilization training. I’ve had two shoulder surgies in the past 6 months. Ever since the first surgery I’ve had pinching pain when raising my arm around my upper part of the shoulder. I am wondering if this is scar tissue or a tear? Also if it is scar tissue do you have any ideas on how I can make it better as it is very painful. Also, when my arm is at my side my shoulder can easily slide out of place. Is this concerning? If the shoulder is dislocated easily you need to let the doctor know about that. The shoulder should certainly not be doing that with any regularity. In terms of the pain with raising the arm, I would bet that this is at least partially due to weakness in the rotator cuff and scapular stabilizer muscles. I would maintain a weekly regiment of strengthening under the direction of a PT. you should see a slow improvement over months. Remember that lots of people do not get full return after surgeries until up to a year. Hi, I had arthroscopic surgery on my left shoulder last july to repair a SLAP tear. I had my bursa removed, some bone shaving, and one anchor put in. You mention in your article that one should avoid mlitary press(shoulder press), and I’ve read that else were as well. My surgeon and my PT gave me very little advice on weight training despite my many attempts of inquiry. What I was told was basically, if it hurts, don’t do it… Anyway, I’ve been lifting weights again, I just started back up. I’m doing 100lb on bench and squats, and 60lb on shoulder press. I feel pretty stable and strong, only a little uncomfortable on shoulder press. Should I avoid shoulder press? Do you have any advice for me on weight training? My surgeon and PT had very little advice on the subject even with being very vocal about my intention to return to weight lifting. If you are feeling a bit of soreness with the overhead press, I would either skip it or ramp down the weight to a point where it does not hurt. I would also permanently get rid of dips and preacher curls, they place too much stress on the shoulder joint. I would make sure that you have a good routine that includes exercises over the exercise ball, and RC cable work. Isn’t the whole point of using a preacher curl machine or seat to isolate the bicep more than a regular standing barbell curl? Yes. The problem I have with preacher curls is that it isolates the biceps too much. The origin of the long head of the biceps attaches right on the top of the labral tissue. I would typically advise against doing that because it is “too focused” and may make it more vulnerable to injury. I would a new set of eyes on your problem. The muscles that rotate the scapula upwards need to be in good shape in order to assist with the reaching motions. You might get some improvement if you have the upward rotators specifically trained. I had rotator cuff surgery on my right shoulder nine months ago. I’m feeling much better after doing some shoulder exercises, I lift weights with my left shoulder, but I’m afraid and avoid lifting weight with my right one. I need your advice about how many pounds can I lift without any risk if it’s possible please? How about starting with the lightest amount of weight and working your way up slowly? The amount of weight does depend on the type of exercise, but as a general rule start with one pound and see how it feels. If there is no pain and you get some fatigue out of it, increase the weight after a week. Interesting information. Scheduled for high grade rotator cuff repair, proximal bicep tear repair because of full rupture (tenodesis), and labral repair (doctor said also going to remove non-symptomatic bone spur ‘just in case’). Doc’s PA said no motion whatsoever of the arm (including passive and pendulums) for a minimum of 8 weeks (asked me not to shower or change shirt for first 4 days so the arm will stay totally immobilized), passive ROM of motion starting with initial physical therapy weeks 8-16, and progressing to light weight (no more than 1-2 pounds) for 4-8 months. Won’t release me to drive for minimum of 6 months. Also said my tennis, cycling and snow skiing days are permanently over because even a slight fall would cause the repairs to fail. After I saw the doc, but before I did the pre-op visit, my understanding of the recovery time was about 2/3 of what the PA said. And, seeing as I’m a very healthy, active person, the limitations on future activities are distressing. When I questioned the PA, he said that the limitations (also indicated that I’d only regain about 70% of pre-op strength and ROM) on activities and recovery were based on age and gender (I’m an extremely active female, 56, healthy weight, non-smoking and spend 5 days a week in the gym lifting weights). I currently have full (although painful) ROM of motion since the injury was less than 3 weeks again. No previous injury to the shoulder or bicep. The PA said a limitation of ever lifting more than 10 pounds with the repaired bicep was something I’d have to adhere to. Are these limitations and the schedule for rehab common? Not sure what to do since this doc is highly recommended and also takes my insurance. Second opinion doctor said just to live with the injury and accept limitations of the shoulder since I’m over 50. Isn’t it fantastic to get two entirely different opinions like that? Frustrating. I think that the likely outcome is going to lie somewhere in between your two opinions. Your protocol for the post-operative treatment is conservative. I don’t at all have a problem with it. In my opinion it is better to let it heal and be safe early on. You are having multiple things done, so this has been taken in to account with the post-op protocol. Outcome measures for someone your age are not fantastic, but you should notice quite an improvement from your baseline. In terms of long term activities, I do think that modification is key here. I do think that you should eventually continue with your weight routine. It should be modified however to avoid some of the more dangerous exercises. (Your PT should be able to take you through the entire gym thing once it is appropriate.) The overhead exercises need to be looked at closely. You may very well be able to do more than 10 pounds with certain exercises. Realize that this entire process will likely take up to a year to see the optimal outcome. Get ready to be bored and possibly frustrated. You will get there. Thank you for your thoughtful answer. Don’t do much overhead exercises weighted. Just enough to keep me in shape. Never been a heavy weight lifter. Guess I’m alarmed because the PA said I’d also have to have separate PT for my hand, elbow, and wrist because I shouldn’t use it at all for 8 weeks. Asked if I could move the wrist and fingers while using a squeeze ball during recovery if I didn’t move the arm or shoulder and he said absolutely not. Since this is my dominant side, it’s quite challenging. The PA also said to me that “People say that they’ll do PT and be compliant, but nobody is. That’s why you won’t recover fully”. The doctor had indicated that this surgery is not anything unusual for a bicep rupture and rotator cuff tear, so I guess I’m confused as to why his PA is taking a different stance on recovery and restrictions. Also not sure why I’m not allowed to move hand and wrist passively and/or without any weight load. Doc didn’t mention it during my visit and I didn’t injure hand or wrist. I’m also saddened by the PA’s recommendation that I give up all of the sports that I’ve participated in. Had no idea that a rotator cuff repair surgery didn’t eliminate the inability to participate in sports activities. Guess it’s better than the pain, though. I won’t see that doctor again until 16 weeks (interim visits will be with his PA with the first one at 6 weeks), so I guess I’ll have more information then. The PA sounds like a bit of a stick in the mud, but whatever. I would ask the PT the same questions that you asked the PA. My guess is that the PT will give you the okay to do light upkeep with the hand, wrist, and elbow. In terms of giving up all of the sports, don’t fret about that yet. My guess is that you will be able to do some of what you did previously. Thanks. Feel better hearing that from you. Would like it more if I was able to see doc and/or PA sooner than 6 weeks. Post-operative visits with doc are only 2 and only 3 visits with PA scheduled over 6 months. Hoping to push the PA to let me see a physical therapist before the 8-10 week period he’s insisting on. From your comments, I think I’d have a better idea of recovery, etc speaking with a PT. Thanks again. Great information on your site. I am a month out from labrum repair , where I had 5 anchors put in . I play football and we constantly have overhead movements in our regimen. Once I am clear for weights should I not do them at all ? Or start low. I would start with movements that are not overhead for the first month or so. Once that is stable I would then slowly venture into overheads with the supervision of your trainer or PT. 1)	Extensive supraspinatus Tendonitis and a Large Full-Thickness insertional Tear of the supraspinatus. The Tear measures 11mm Coronally and 14mm Sagittally. 2)	Small, chronic appearing tear of the antieror labrum with adjacent 3mm parabral cyst. I have not done any Physical Therapy and I have only been taking anti-inflammatory medication a couple of times since October 2017. 1)	Is Surgery my only option if I would like to continue weight lifting? 2)	My biggest issue is night pain and stiffness in the morning. If I choose not to have surgery. Do you think Physical Therapy would help with the night pain and muscle spasms? 3)	Will it only get worse if I chose not to have Surgery? Here are some opinions Charlie in regards to your questions. 1. The supraspinatus tear sounds considerable. This is going to have an effect on your ability to do certain exercises. If you want to avoid surgery and still do your weight lifting, I would nix overhead exercises entirely (military presses), and ramp back the weight with the biceps and the bench presses. You are doing weight that is most likely too heavy and is having a degrading effect on those tendons. I think that you are much better off at this point in your life doing lighter weight with more repetitions. When I was in my late thirties, I had a reckoning with myself and came to terms with ramping the weight intensity back with my routines. I was not thrilled about this, but I am certain that I have saved my shoulders a huge amount of trauma. My bench presses are done at 155 pounds (don’t laugh), and I am doing a 25-18-15-12 rep structure with four sets. If I feel anything sharp, I stop. I do have a labral tear in my shoulder, but it is totally manageable. I will not be having surgery. 2. Physical therapy will probably help with the sleeping issues. I would give it a good eight (8) weeks of rehab to see what kind of results you are getting. 3. If you continue weight lifting without some serious modification, my guess is that you will tear the supraspinatus entirely, and probably tear the labrum a bit more. I do think that having some guidance from a very experienced PT in regards to getting a new routine that you are relatively happy with is a great idea. I wouldn’t do this without hands-on guidance.